Mosaic Theater Company of DC is the District’s newest company, just completing its first year of “transformational, socially-relevant art” with an emphasis on plays from conflict zones. Jennifer L. Nelson, Resident Director of Mosaic, is a professional who has worked in nearly every aspect of theater over the last 40 years and a professor whose classes include “Theatre for Social Change.” As part of We Act Radio’s “Orange Out” for National Gun Violence Awareness #WearOrange Day, Nelson joins the Education Town Hall June 2 to share some ways Mosaic has been engaging different communities, and different age groups, around complex, emotional topics, including gun violence. Nelson directed Mosaic’s production of “Gospel of Lovingkindness,” a play centering around a single moment of gun violence. In addition to its official run, Mosaic creates educational programs in a variety of settings using this play, which is based loosely on the story of Hadiya Pendleton. It was Hadiya’s friends who launched “Project Orange Tree,” which has evolved into the national #WearOrange day. We Act Radio’s “Orange Out” seeks to keep youth in communities like Hadiya’s centered in conversations about gun violence and solutions. Also joining the program will be several community leaders active in gun sense and conflict resolution, including Nia 2X, president of the local chapter of the National Action Network, the civil rights group with an anti-violence platform that has worked to create National Gun Violence Month; and Ron Moten, author and community activist who co-founded DC’s Peaceoholics. 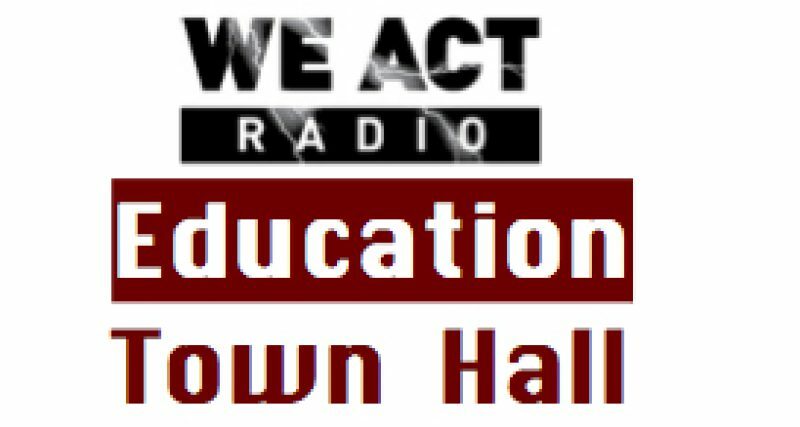 Listen live, 11 a.m. to noon Eastern, via TuneIn, and call in to join the conversation, 202-889-9797. Or check back for recording, posted shortly after air-time.